Matt Shuham is a news writer for TPM. He was previously associate editor of The National Memo and managing editor of the Harvard Political Review. He is available by email at mshuham@talkingpointsmemo.com and on Twitter @mattshuham. The percentage of undocumented people with no criminal record arrested by Immigration and Customs Enforcement has risen to a record high, USA Today reported Thursday, meaning that a record percentage of ICE arrestees have allegedly committed the civil violation of being in the country without proper documentation but no criminal violation. 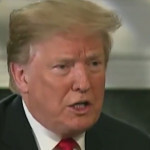 President Donald Trump on Thursday falsely blamed the media for baiting him into attacking the late Sen. John McCain (R-AZ) before launching yet another attack at the senator, who’s been dead for seven months. 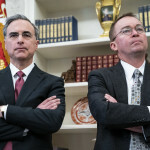 The Pentagon’s inspector general is looking into allegations that acting Defense Secretary Patrick Shanahan, who spent more than 30 years at Boeing before joining the Trump administration, improperly boosted the company as a government official. Jeanine Pirro’s Fox News show won’t air for the second Saturday in a row following Islamophobic comments she made on air. The White House has rejected House Democrats’ request for information on President Donald Trump’s communications with Russian President Vladimir Putin, citing executive authority. During a January school shooting drill in Monticello, Indiana, teachers were shot “execution style” with compressed-air-powered pellet guns, resulting in welts and broken skin, a representative of the state’s largest teachers union said Wednesday. 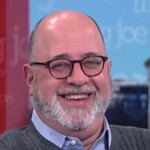 Conservative writer John Podhoretz deleted his Twitter account Wednesday after tweeting a joke about neutron bombing a journalism school. He apologized the following the day. 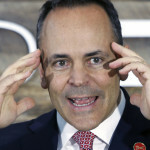 Kentucky’s governor said in an interview Tuesday that rather than vaccinating his children against chickenpox, he exposed them to someone with the disease instead. Sen. Bernie Sanders’ (I-VT) presidential campaign has hired the research staffer who in 2016 was tasked by the Clinton campaign with compiling opposition research on the senator, New York Magazine reported Wednesday. 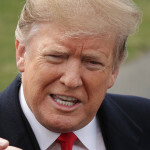 President Donald Trump on Wednesday attacked senior Justice Department officials and former Attorney General Jeff Sessions in an apparent attempt to undermine the credibility of special counsel Robert Mueller’s probe.